Political realignments are shaping up in Kisii County despite the fact that 2017 elections are three years away. The position of the Governor currently held by James Ongwae and his Deputy Joash Maangi seems to be producing a lot of political fireworks. What is raising eyebrows is the fact that even as local leaders give a thumbs up for Ongwae and Maangi for the good work they have done since their elections, there seems to be section of politicians who are already plotting for their replacement come 2017 elections. Kisii County is secretly in election mood with several names being mentioned as possible potential candidate for the position of Kisii Governor in 2017. One, Ongwae is most likely to defend his seat but the big question is whether he will still have Maangi as his running mate. The two have however enjoyed very close working relationship and analysts say should Ongwae decide to defend his seat then chances are very high that Maangi will be his number one choice as running mate. Analysts say that the Ongawe/Maangi pair remains the most preferred team that will not be easy to beat. The two commands overwhelming support across Kisii County. One school of thought however has it that Ongwae who will be 70 years in 2017 is likely to retire and should this happen then the campaigns will even produce more political fireworks. Should Ongwae retire then Maangi will be the automatic Cord’s flag bearer. 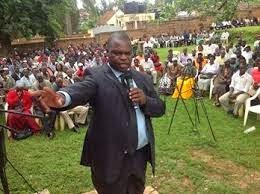 With Ongwae’s support, Maangi who has become increasingly influential and popular in Kisii County will definitely carry the day but that again will depend on whoever he will nominate as his running mate. One scenario that is also causing ripples is when Maangi decides to face Ongawe for the Cord ticket for the gubernatorial race or when he decides to leave Cord and fly another party’s ticket to face Ongawe. A Maangi’s candidature against Ongwae can as well backfire on both of them. Sources however say that Maangi having been the County’s ODM Secretary enjoys a huge following in the county especially among the youth and he can use the ODM structures to upset his boss. Those who are secretly whispering that Maangi should go for the seat now say that he has a number of advantages over other candidates who have shown interest in the seat. One, they say age is on his side as he is only 46 years. Two, they say already he has a constituency and the advantage of incumbency, three, he still enjoys a good rapport with ODM leaders both at the grassroots and at the national office and lastly, he is a good mobilize and a down to earth politician who is very accessible. It has also been whispered that should Maangi gets the going tougher, he is likely to go back to his Bomachoge Chache Constituency and contest the parliamentary seat. Those pushing this agenda say that the sitting MP Simon Ogari is likely to retire at the end of this term due to age factor. Sources say Maangi has received elders from Bomachoge Chache that he should consider representing them in 2017. 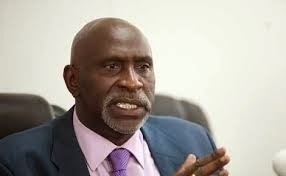 Another scenario is the candidature of Charles Nyachae. It has been whispered that he is likely to contest the gubernatorial seat in 2017 though he has not come out to publicly declare his interest. There have also been rumors that Maangi is under pressure to deputize Nyachae. But the big question is whether Maangi can dump Ongwae for Nyachae in 2017. Sources say Maangi and Nyachae are known buddies and that Maangi enjoys cordial relationship with the larger Nyachae family. 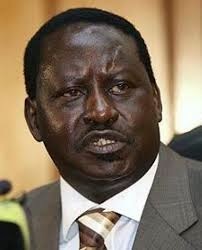 For Maangi to be Nyachae’s running mate then this means that he must decamp from ODM to Ford People. The combination of Maangi and Nyachae is also likely to give the Ongwae team a run for their money considering that Ford People has of late become increasingly popular in the entire Kisii region. Maangi’s political influence has been the talk in Kisii politics. His support comes a cross the political divide and should he decide to run in 2017, chances are high that he can pull surprises. Although he has not publicly declared that he will run, his body language speaks volumes. 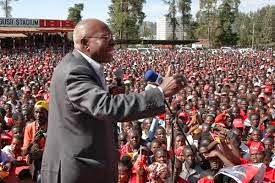 At one time he was overheard commenting that he and Ongwae are working on well and that it is not time to politic but to deliver on the promises they gave the electorate during the campaigns. Another thorny issue that is being whispered is how he has managed to become one of the most influential politicians in Kisii County despite having been in office for just a short time. 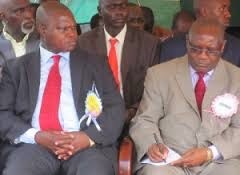 Those who know him well say that Maangi is a go-getter and a political schemer who cannot be ignored during elections. He has also become fabulously rich as he had been spotted driving big and luxurious cars.